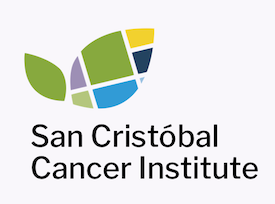 At San Cristóbal Cancer Institute we cover all bases with our patients, including comprehensive Palliative Care. Palliative care (also called supportive care) is aimed at relieving suffering and improving quality of life. It’s designed to help people live as well as they can for as long as they can, even though they have a serious illness. Palliative care is dedicated care for adults and children with a serious illness, that places focus on alleviating symptoms and discomforts for patients, to ultimately improve quality of life for them and their families. These may include nausea, pain, fatigue and shortness of breath, among other. However, it is not intended to cure the disease itself, rather provide patients of any age or disease stage with relief from symptoms, pain, and stress. The San Cristóbal team, committed to the utmost care for our patients, will strive to deliver palliative care along with curative treatment, carefully meeting the patient and physician’s goals. Palliative care has long been recognized as an important part of cancer treatment. While palliative care may be delivered by doctors and nurses, they may ask for the help of supplemental medical specialists, nurses, and other designated consultants to work with them to provide an extra layer of support addressing the patients’ needs and helping patients and their families have a voice in realizing their treatment targets. Palliative care also strives to help with emotional and spiritual problems, aiming to promoting comfort on all levels, even – for example – when aggressive treatment is not working as expected. Palliative or supportive care is given throughout the cancer experience, whenever the person is having symptoms that need to be controlled. This can be from the time of diagnosis until the end of life. It’s appropriate at any age and at any stage in any serious illness.Palliative care is also largely about giving patients options and having them take part in decisions about their care. It’s about assuring that all their care needs are addressed – their physical, emotional, spiritual, and social needs. There are many studies that show the benefits of palliative care. For example, the American Cancer Society reports that patients who had hospital-based palliative care visits spent less time in intensive care units and were less likely to be readmitted to the hospital after they went home. Studies have also shown that people with chronic illnesses like cancer who get palliative care have less severe symptoms, resulting in a better overall quality of life, less pain, less shortness of breath, less depression, and less nausea. It is demonstrated that the general medical care for cancer who receive adequate palliative care tends to better align with their values, goals, and preferences, as well as their family’s. Palliative care is also directly linked to increased survival rates. A 2010 study of lung cancer looked at patients who were given palliative care alongside cancer treatment, finding that the patients in the group lived an average of 3 months longer than the patients who received the cancer treatment without the palliative care. Palliative care is most often begun by the cancer care team, and referrals to or visits with palliative care specialists may happen later. Your specialist, nurse, and other members of your cancer care team usually treat and help you manage symptoms you’re having. For instance, they may prescribe medicines to help control or prevent nausea and vomiting or to help relieve pain. Oxygen and other measures may be used to help with breathing problems. Any person diagnosed with a serious illness who is having symptoms should get palliative care. People with complex medical problems, for instance, someone with heart failure, diabetes, and cancer, should get palliative care. This supportive care should be available from the time of diagnosis until it’s no longer needed – at any stage and in any care setting. If you’d like to learn more about our Palliative Care or any of the other services available at our state-of-the-art Cancer Center, please contact us.